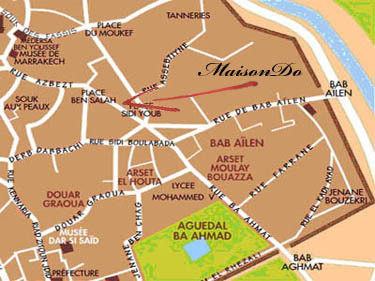 2 minutes from Ben Salah and Sidi Youb squares which can be accessed by car. 5 minutes from the entry into the souks. 10 minutes from Médersa Ben Youssef. 12 minutes from the famous Jemaa El Fna square. 15/20 minutes from the golf courses.